When choosing the right sunglass for your lifestyle our staff are here to help! The lenses in your sunglasses should always offer 100% UVA & UVB protection. We offer a variety of sunglass brands with different lens tints, colours and mirrored coatings for your needs. For example, different tints can aid in clarity and contrast for certain sports and lighting conditions such as golf, fishing, or biking! 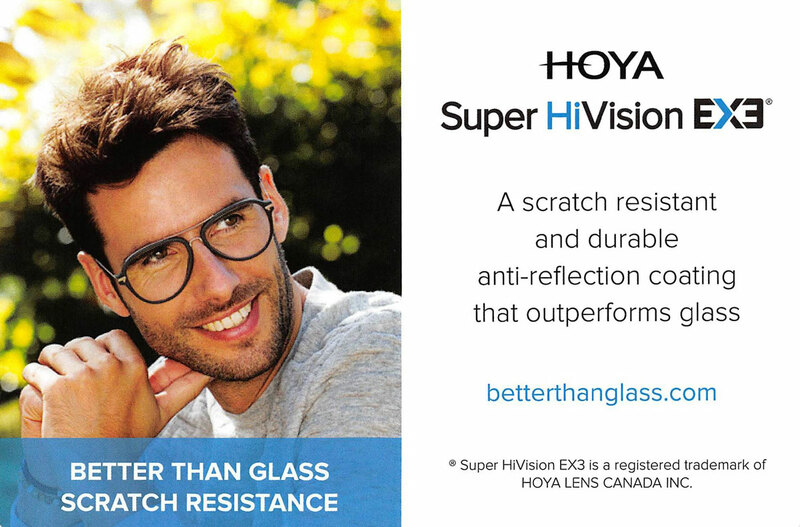 We are proud to use the highest quality lenses by Hoya. Our knowledgeable and helpful ophthalmic dispensers will discuss with you the best lens options for your lifestyle, occupational or safety needs. Choices include lens material (plastic, trivex, glass), lens design (single vision, bifocal, trifocal, progressive, anti-fatigue), and coatings (anti-reflection, anti-scratch). 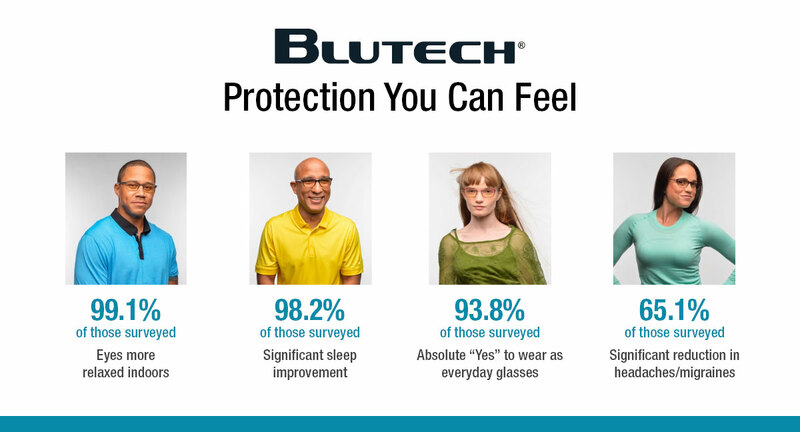 We also offer specialty lenses for computer/office work, and lifestyle or occupational lenses tailored just for you. Hoya offers Recharge EX3 & BlueTech lenses designed to block out harmful blue light which is emitted by computer screens and fluorescent lights. In addition to the well known Transitions brand, Hoya also exclusively offers the new Sensity Photochromic tint line in grey, brown, green and mirrored styles. We offer many different kinds of soft contact lenses for all types of refractive error, including toric contact lenses for astigmatism and multifocal contact lenses for presbyopia. MiSight daily disposable soft contact lenses are now available through our clinic and are a great option to help slow the progression of your child’s nearsightedness by up to 60%! It is currently the only on-label treatment for myopia control available in Canada. Rigid gas permeable and scleral contact lenses may be prescribed by our optometrists to improve vision in patients with corneal pathology, such as keratoconus and Pellucid Marginal Degeneration. We provide low vision services as part of our full service eye health care. The goal is to help those with low vision overcome the handicapping effects of their visual impairment. Our care is based on individual lifestyle needs and solutions will be sought to help each patient achieve their visual goals. We carry a variety of lighted handheld magnifiers, head-born magnifiers, electronic magnifiers and other low vision aids to assist in daily living. We retail a wide variety of products for dry eyes including preservative-free artificial tears, lubricating gels and ointments, eyelid cleaners, premium and conventional masks for hot compresses, and Triglyceride Omega-3 supplements. Other products we offer include AREDS II Study based eye vitamins for macular health. These vitamins help reduce to the risk of further progression of macular degeneration. We also carry Latisse, a product which stimulates the growth of thicker and longer eyelashes.